Free museums in abundance, a picture perfect skyline and architectural highlights. On paper there are plenty of similarities between our vibrant city and the buzzing metropolis of London. 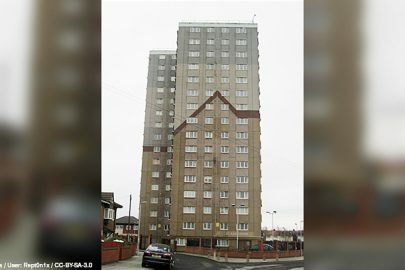 Like Liverpool though, the capital has no shortage of unique character to be explored beyond its most prominent attractions. 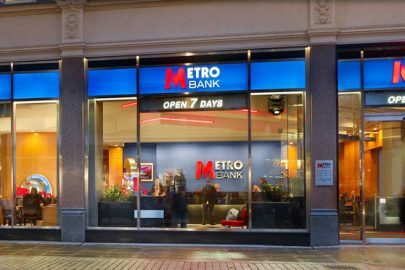 City breakers have long enjoyed convenient train journeys from Lime Street to Euston lasting little more than two hours, so we’ve gathered tips from London residents to bring you the must-visit locations off the beaten track. Since the opening of a line between Paddington and Farringdon Street in 1863 marked the arrival of the world’s first underground railway, London’s tube network has been the subject of many more ‘firsts’ as well as becoming a vital mode of transport and a symbol of the capital. It’s perhaps lesser known for providing space and inspiration for fine food and drink destinations though. 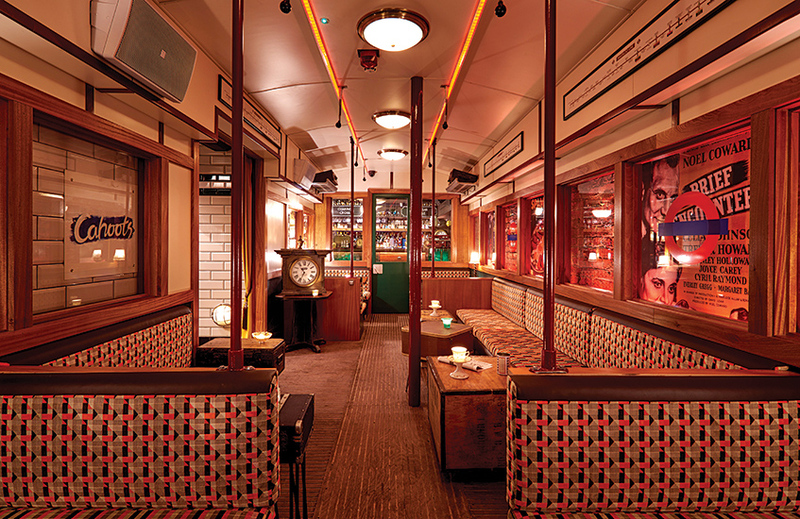 Seek out Soho’s ‘secret’ Cahoots bar (pictured above) off Carnaby Street and you’ll be transported back to a 1940s disused tube station setting, with part of the venue modelled on an old train carriage. Book ahead to visit the immersive bar and you’ll be rewarded with staff in Blitz-era character, fittingly presented ‘cocktails and rations’, swing dancing and sing-a-longs. Alternatively, embrace an up-to-the-minute food concept in an ornate former Edwardian Underground station entrance hall. 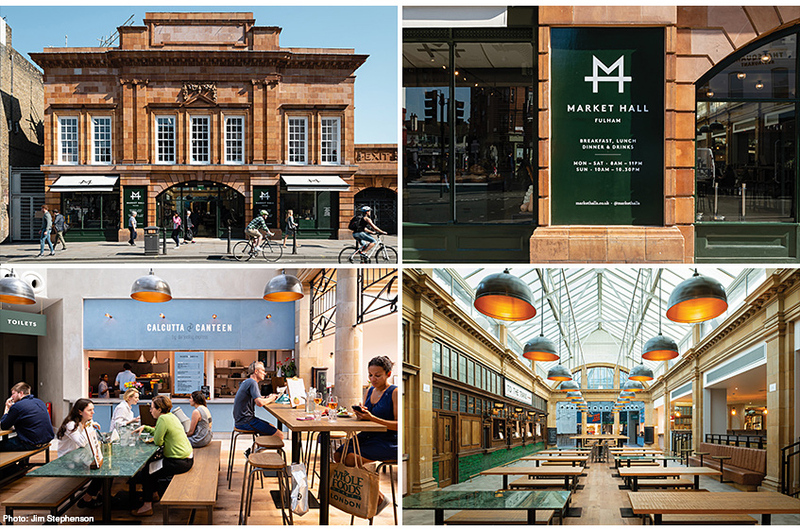 Fulham Market Halls (pictured above) opened last year in the well-preserved space and serves breakfast, lunch, dinner and drinks across its seven food vendors, coffee shop and craft beer and spirits bar. Fancy kicking back in an exquisite landscaped garden filled with flourishing plants and fragrant herbs? Look no further than level 35 of the City of London’s ‘Walkie-Talkie’ building. 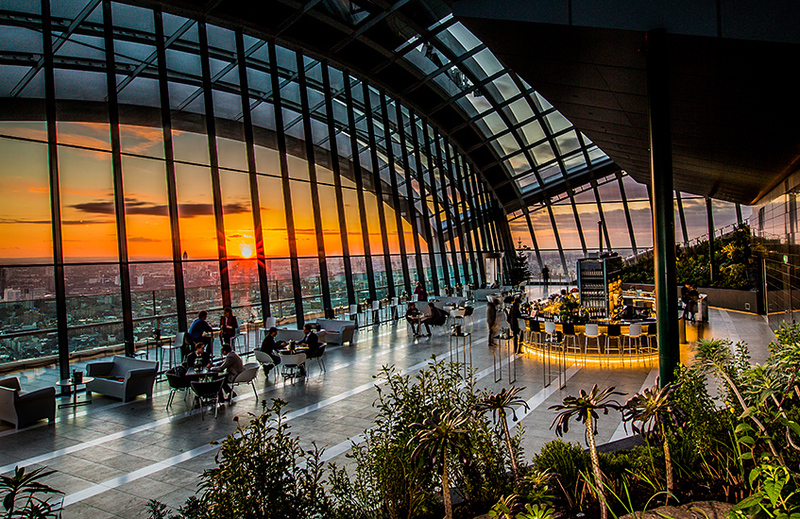 That’s right, 20 Fenchurch Street (as it’s formally known) is home to Sky Garden (pictured above) – London’s highest garden offering 360-degree views over the city. Enter for free to explore gardens, observation decks and an open air terrace although tickets must be booked in advance. The space is also home to restaurants and bars. Down on the ground we’re told St Dunstan in the East is a “mini oasis in the heart of the city”. This secluded garden within the ruins of the Church of St Dunstan is open all year round and free to enter. Monument or Tower Hill are the nearest tube stations to the site, which was originally built around 1100 and severely damaged by the Great Fire of London in 1666. It was patched up, with Sir Christopher Wren later adding a steeple and tower at the end of the 17th Century – a structure which survived further damage to the church during the 1941 Blitz. It was decided not to rebuild St Dunstan’s and the now Grade I-listed site has greenery woven around its ruins. In search of something truly different? Let Walthamstow’s God’s Own Junkyard (pictured above) light the way. The late Chris Bracey set up this wonderland of illuminated creations, having spent 37 years making, installing and collecting neon art. 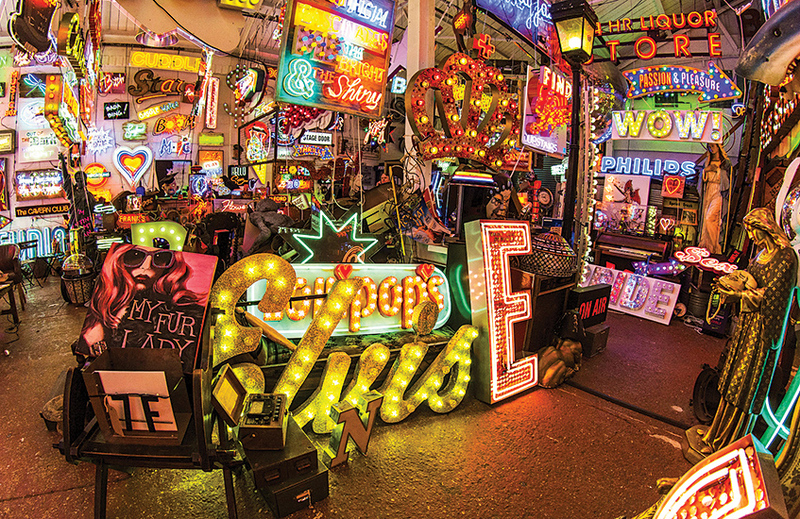 Set within Ravenswood Industrial Estate, the colourful Aladdin’s cave of resurrected salvaged signs and old movie props to glowing artworks has attracted a cult following and provided a location for the likes of Vogue fashion shoots. Free to enter throughout weekends, it also has a café inside and is situated next to a gin parlour. Or head to Marylebone where Alfies Antique Market features several floors of antiques, vintage fashion and 20th Century design. Said to be a magnet for serious collectors, interior designers and celebrities, this vast collection of arts, accessories, furniture and fashion doesn’t come cheap but is fascinating to explore. 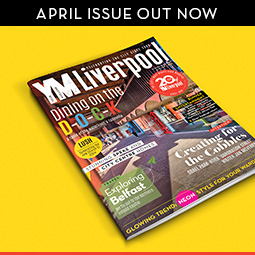 Photogenic from the outset thanks to the building’s Egyptian-style art deco façade, the market also provides a food and drink pit stop at its Rooftop Kitchen complete with a terrace overlooking the city. Stroll through central London and you can’t miss the many stunning architectural reminders of Britain’s history. One old townhouse to venture inside of is Manchester Square’s Hertford House, which now accommodates The Wallace Collection. This free national museum displays art collected during the 18th and 19th centuries by the first four Marquesses of Hertford and Sir Richard Wallace, the son of the 4th Marquess. Hertford House was one of the family’s properties during the 19th Century. 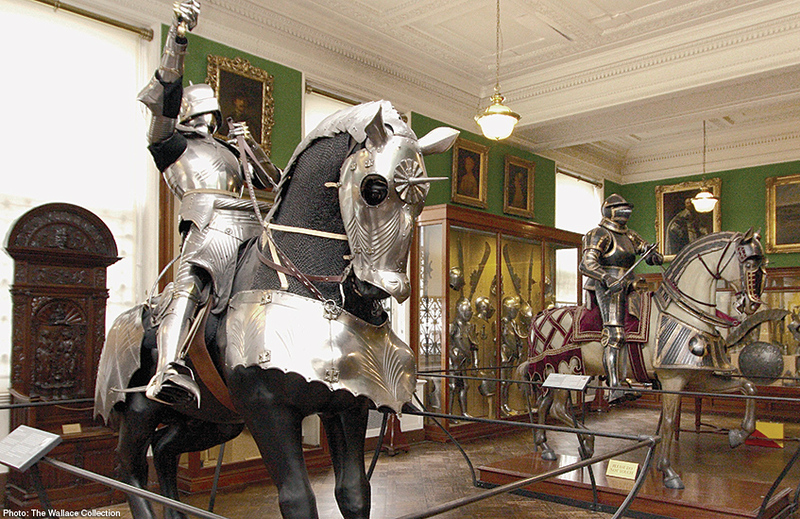 Alongside paintings, sculptures and furniture pieces, the collection’s range of centuries-old implausible looking weapons and suits of armour is said to be a particular highlight. And if you like your pint served with a hearty helping of historic character, you surely can’t go wrong with the oldest London pub along the River Thames – The Mayflower. Located in Rotherhithe, where The Mayflower ship set sail on the first stage of its transatlantic voyage in 1620, it offers river views and, according to its recommender, serves a mean Sunday roast! The Mayflower also remains the only pub licensed to sell UK and US stamps after time-strapped seafarers in the 1800s called into the venue (then named The Spread Eagle) to buy a pint and postage. If pounding pavements in the name of sightseeing leaves you thirsty, you’ll be hard pressed to find a better selection of ales than along the ‘Bermondsey Beer Mile’. Catch the train to South Bermondsey or the Underground’s Jubilee Line to Bermondsey and you’ll be welcomed by a community of breweries occupying railway arches and trading estate units. During weekends, Cloudwater Brew Co., Brew By Numbers and Partizan Brewing are among the numerous experts serving up tasters from their tap rooms, and EeBria promises a range of the UK’s best keg and bottle beers to enjoy. Gourmet street food-filled Maltby Street Market and the Spa Terminus hub of producers are also on hand to ensure your belly is full and artisan shopping needs catered for. From boutique offerings with art house-packed programmes to prominent big screens fit for red carpet premieres, London’s mix of cinemas is eclectic. One much-loved multi-screen that’s worth a look for film buffs and culture seekers on a shoestring budget is Peckhamplex. In a former multi-storey car park on Rye Lane in Peckham, the independent cinema runs a varied programme of blockbusters and indie films to documentaries, shorts and screenings with Q&As. All tickets are priced just £4.99 (or £5.99 for 3D features) and visitors can expect a memorable experience with traditional folding cinema seats and often lively audiences.